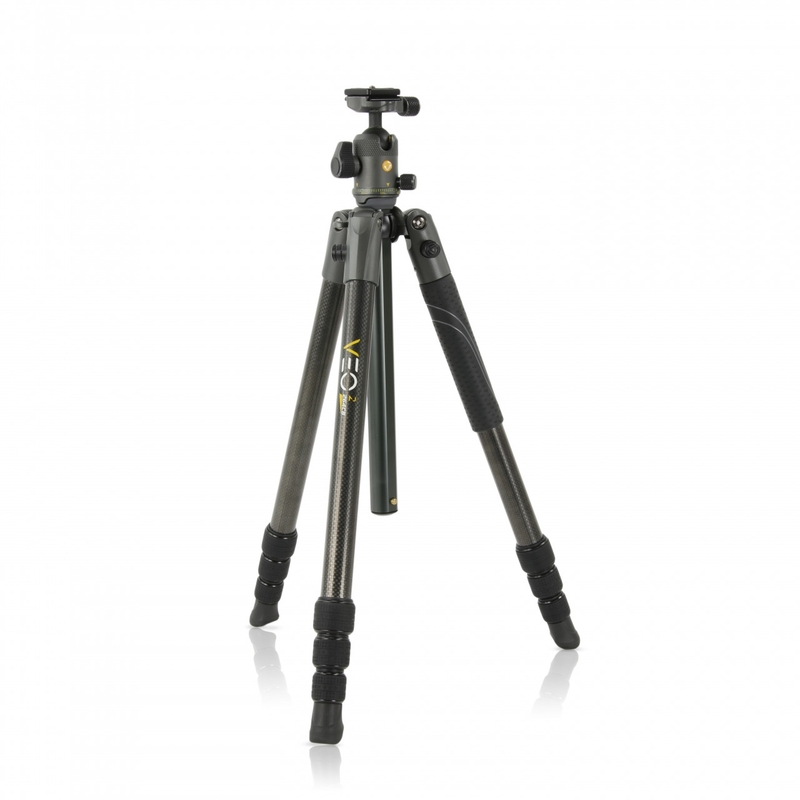 VEO 2 264AB is an easy portable and super lightweight, 26mm, 4 section Aluminium travel tripod kit with a multi action ball head with maximum work load of 8 kg / 17.6 lbs. It weighs only 1.6 kg / 3.5lbs and can be extended up to 155 cm / 61 inch. Intuitive operations to set the tripod into desired position: Exclusive and innovative Central Column system that allows you to set the central column and tripod legs in less than 15 seconds. 1st rate material (Magnesium, Aircraft aluminum alloy) for lightweight, robust and long-lasting performances or playing sessions. Advanced Twist lock system for fast and rock solid position setting. Extend the 4 sections in a matter of seconds. Highly Engineered leg tubes for smooth and precise leg extensions. Independent Leg positioning at 3 different angles (20°, 45°, 80°) for more versatility and possibilities to adapt to uneven terrain enabling you to shoot more creative pictures. Non-slip, all-weather TPU grips on 1 leg for the perfect hand grip. Angled rubber feet to carry and position firmly on the ground (spiked feet available; sold separately). Bonus tripod bag with extension system to accommodate any size of standard heads. Standard Warranty applicable by National law (minimum 2 years) + 8 years extension warranty bonus by registering product in Vanguard website.